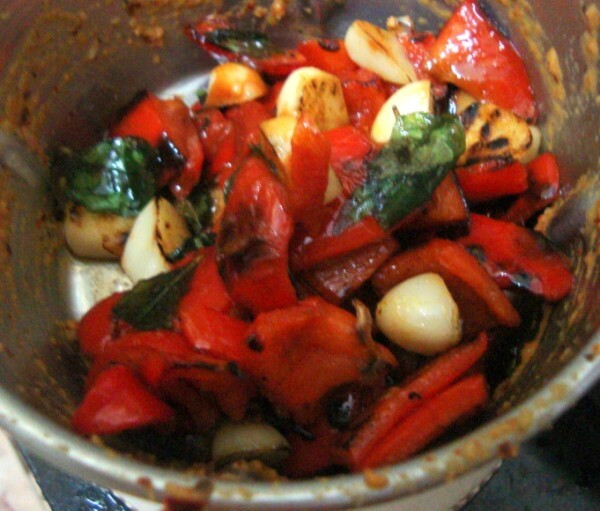 The other fantastic new add on in chutneys is the Red Bell Pepper Tomato Chutney. to my list of chutneys Even though one might think that the Red Bell Pepper / Capsicum varies from the green with its colour, you could be wrong. I found the taste very distinct to be different. 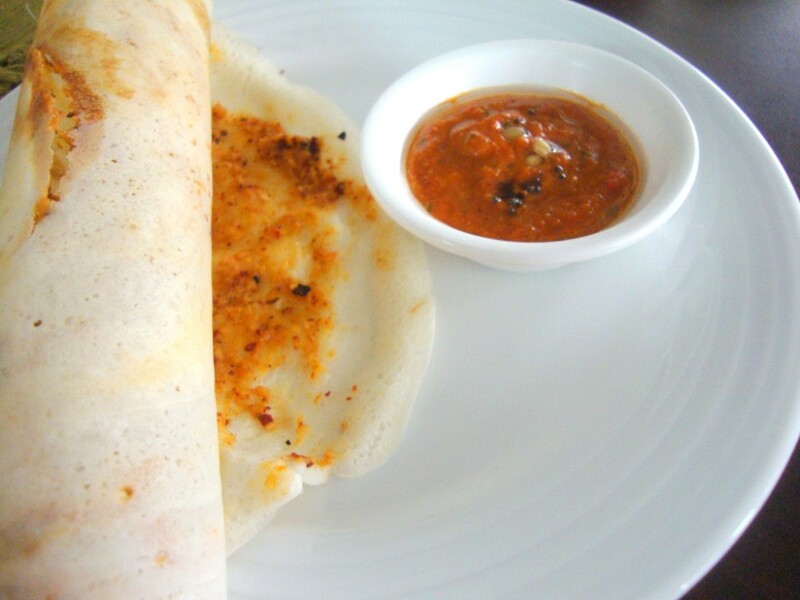 I made this for dinner on Friday along with the Garlic spread for the Masala Dosa and the combination literally rocked. 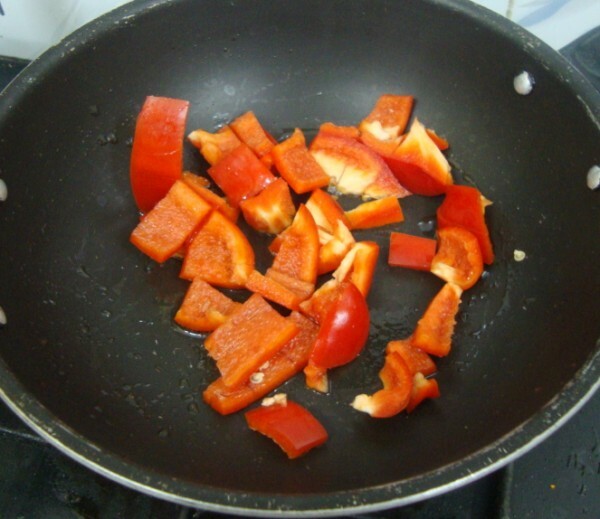 Knowing that I particularly wanted the red bell peppers for this chutney, I went for vegetable shopping on the way back home. I wanted to drop Konda at home, but she wanted to tuck along. So she came and I remembered that I was thinking I should take her along the next visit so that I can show her all the vegetables. She was a great help with the bag, covers, plus non stop questions on what each one was. To make it even more fun, the shop keepers had written something and stored something different in the boxes. So you can imagine how it must have been. Each one she reads and says what’s this Amma, they are calling Mangoes as Cucumbers! The questions went on and on. I managed to show her all the different varieties we have and how one has to pick up each vegetables. I am sure it will be hard for her to get everything at one go, well many trip to go. Ok I decided that I am in love. Well before hubby dear reads this and panics, let me confess it’s with Cumin. I tend to add this to everything these days. And this chutney was not spared. I guess it gave the chutney an all together nice flavour. Every time I take the camera to click each step, especially if it’s supposed to be a simple recipe, Athamma voices that it’s too simple for such elaborate steps to be shown. Well I had to remind her that I get emails saying that these are very helpful. So even if that meant I am spending more time doing a simple one, or dancing cross legs trying to juggle with both hands, I hope somebody benefits from these! I wanted to add those green chilies to the chutney, instead added chili powder. Wash and chop the bell pepper into chunks. 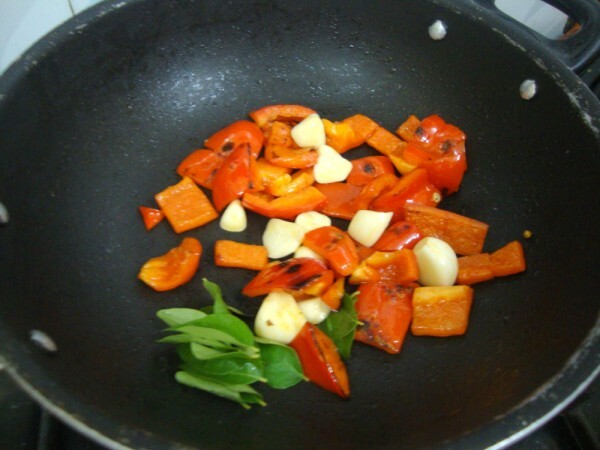 Heat a non stick pan with 1 tsp oil. Add the peppers and sauté on high flame. Add the chopped garlic, curry leaves also to the pan and sauté well. 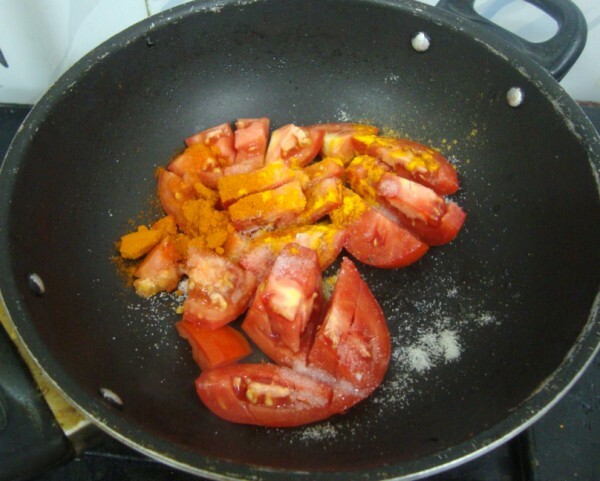 Remove and add chopped tomatoes, salt, chili powder and turmeric. 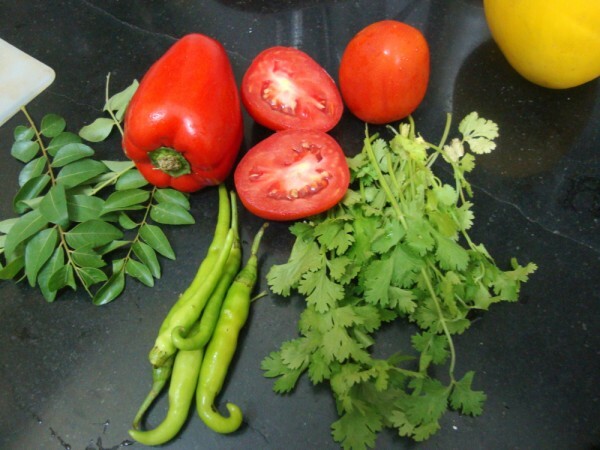 Then add coriander leaves. Cover with lid so that the tomatoes get soft faster. 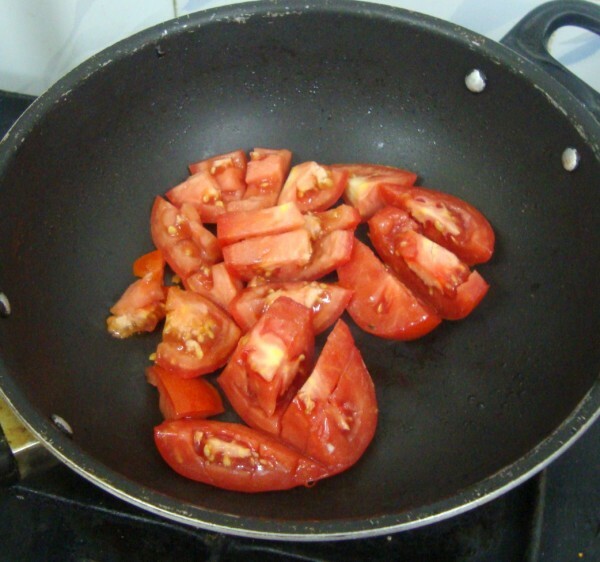 Once the tomatoes are cooked well, remove and allow to cool. Then take everything in a mixer, add tamarind extract and blend to a smooth paste. Add water if required. 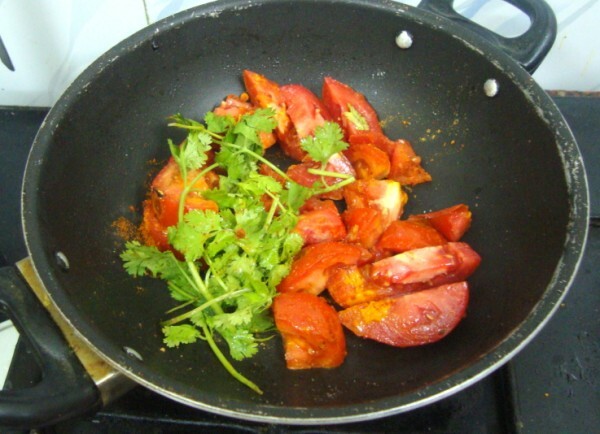 Heat another pan with oil, add mustard, urad dal and curry leaves. When the mustard splutters, add it to the chutney. 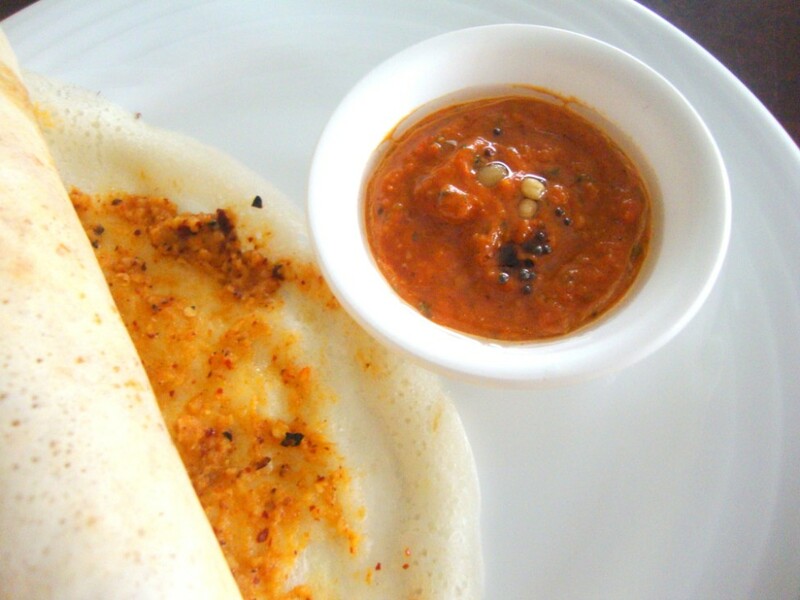 This was a delicious dip for the garlic spread masala dosa. I am sure it tastes great with idlis also. This goes for my Condiment Mela. Your recipe tempts me to try this. chutney looks tempting..n ya I can imagine Athama's concern…Bless her…would love to meet this wonderful lady:))..but of course steppy pics r always welcome.. Even I do love this chutney,goes well with rotis also!!! 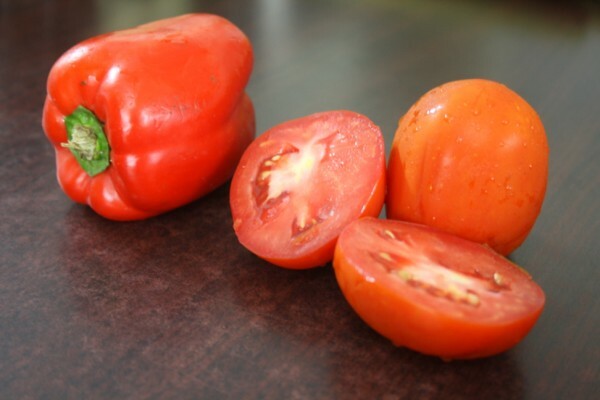 Love the mild sweet flavor of red bell peppers. Nice one. 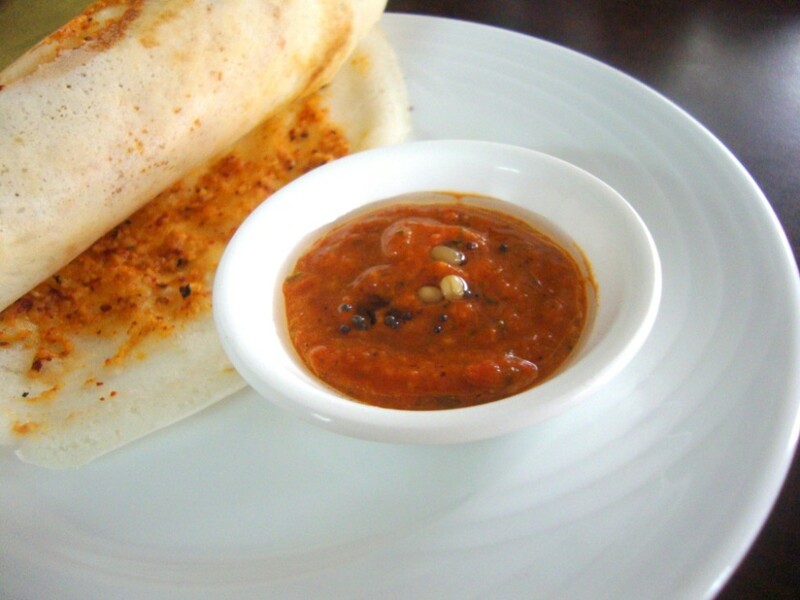 Chutney is one of my favourites anytime…looks delicious. looks yummy. Thanks for the stepwise pics. Tempting chutney. BTW, made your garlic chutney. Added one onion and reduced the garlic. It was awesome. Sonia No it wasn't as I added extra red chili powder. There is something about roasting peppers that completely gets me n when you add garlic, it makes for a fab chutney 🙂 Lovely color you got! All those fresh ingredients. Looks delcious! Extremely tempting and super delicious chutney!